Even though outsourcing as a business strategy has grown in popularity over the last two decades in key business areas such as IT, maintenance and logistics, only 12% of organizations outsource any of their sales function. 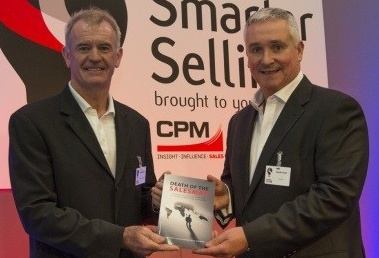 In the book “Death of the Salesman”, written by Alex MacKay, Graham Brown and Neale Skalberg, and sponsored by CPM, the authors explore the benefits that outsourcing the sales operation can bring to any business. They based their findings on academic analysis and case studies of the sales function combined with their “street level” experiences over many years. In the book, they highlighted that companies opt for outsourcing some of their business operations in its relentless search to obtain priceless benefits like flexibility, expertise and cost savings. They found that 73% of companies outsource one or more functions in their business as a legitimate strategy, but it seems that this percentage is only restricted to a select group of roles that are most likely to be outsourced. The reasons why companies don’t re-invented their sales structure and endeavor to outsource their sales functions remains a mystery, especially when the companies that do use this strategy reported that the benefits go beyond cost cutting, and ensured that the main advantages are sales increased and access to specialist skills. The book is a must read for anyone involved in sales and marketing in both local and global markets. In its pages, the authors dismantle the myths that are often associated with the outsourcing of the sales function and position this option as a powerful business tool in highly competitive and ceaselessly uncertain global market, that offers enormous potential to leverage business growth.